Love Nutella? Welcome to the club! Not a fan of Nutella? I’m not even sure what to say to you and this recipe isn’t for you. If you are part of the club, you’ll love this recipe for Nutella Swirl Pound Cake. Talk about delicious, rich and decadent. Grease a 9×5-inch loaf pan. In a small bowl, whisk the eggs with vanilla extract. In a medium bowl, whisk the flour, cocoa powder, baking powder and salt. In a large bowl, beat the butter with the sugar until fluffy. Gradually beat in the egg mixture until full incorporated. In three batches, beat in the flour mixture until incorporated. Spread 1/3 of the batter into the loaf pan then spread half the Nutella on top. Repeat with another 1/3 of the batter and the remaining Nutella. Top with the remaining 1/3 of the batter. Lightly swirl the Nutella into the batter with a knife. Careful not to overmix. 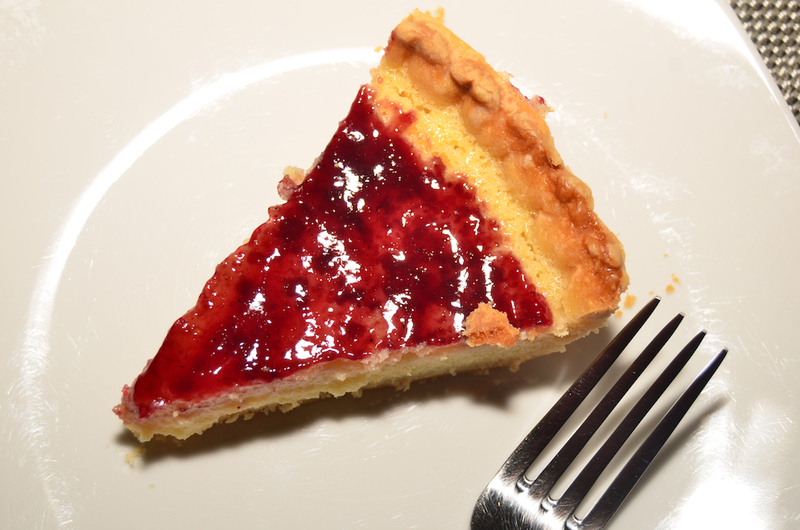 Bake the cake for approximately 1 hour and 15 minutes, until a toothpick inserted in the center comes out clean. Let the cool in the pan for 15 minutes. Invert the cake onto a wire rack or plate, turn it right side up and let cool completely, about 2 hours. Cut the cake into slices and serve. Letting the Nutella Swirl Pound Cake cool for those two long, grueling hours while you salivate and smell the deliciousness is going to be the hardest part. This is one of the best pound cakes I’ve ever had. I had two servings on the spot. You don’t need to garnish it with anything. It’s good enough to devour all on its own. With winter upon us, it’s time for citrus to take center stage as things like oranges, lemons and limes come into season. I was able to pick up some Meyer Lemons from Hollygrove Market and Farm in last weekend’s box. 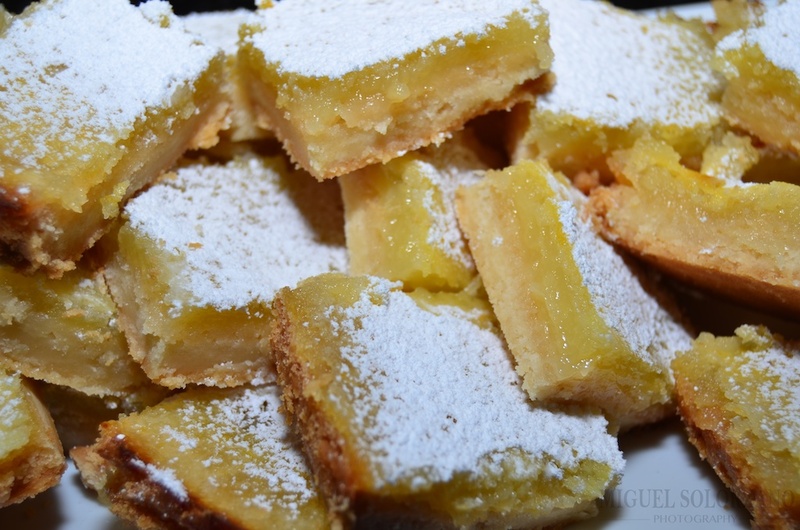 Dust the Meyer Lemon Squares with powdered sugar before serving. So what did I do with them? I turned them into delicious Meyer Lemon Squares. Combine 1 1/2 cups flour and 1/2 cup powdered sugar in large bowl. Add butter and cut in until mixture resembles coarse meal. Press crust into a 13x9x2-inch baking dish. 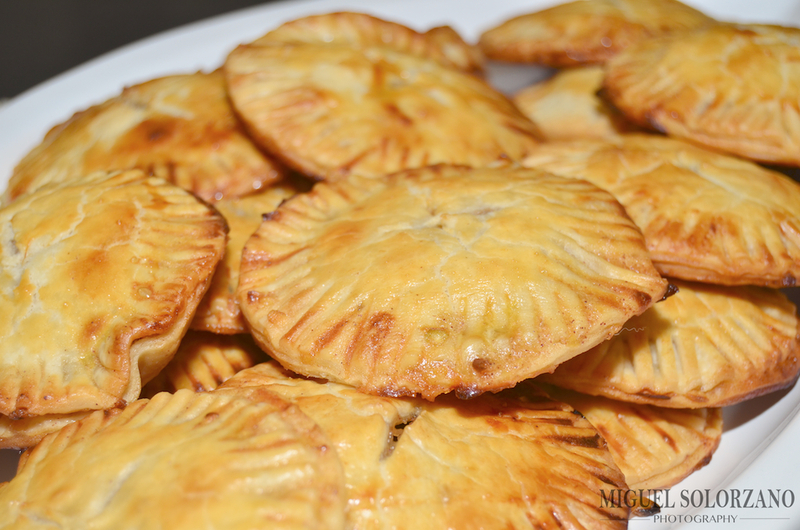 Bake until golden brown (about 25-30 minutes). 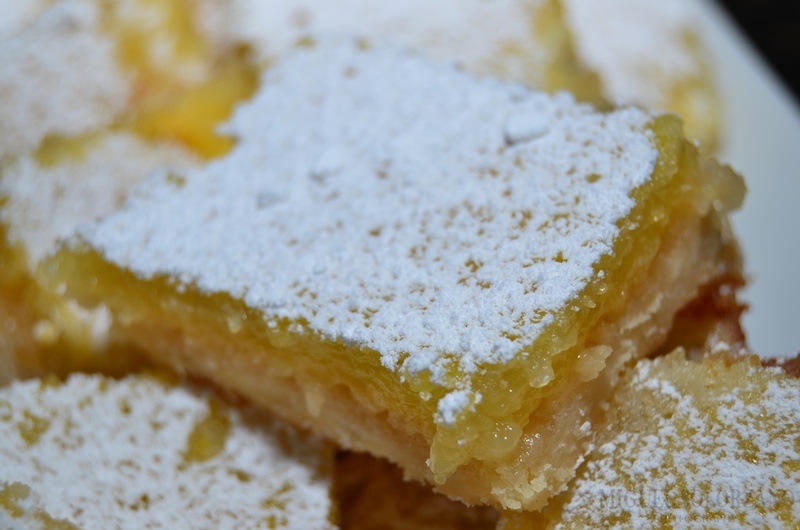 These Meyer Lemon Squares are great for the holidays. Remove from oven, but leave oven on 350. Beat sugar, eggs, Meyer lemon juice, 1 TBSP plus 1 tsp flour and lemon peel in medium bowl to blend. 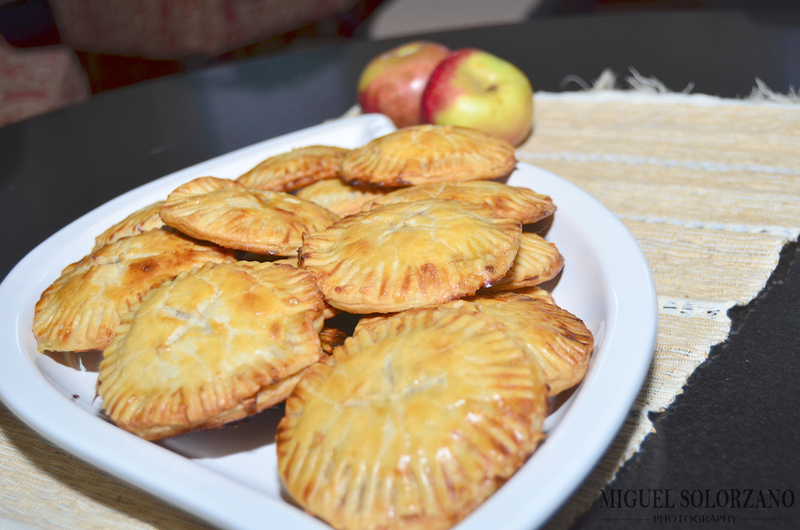 Pour into crust then bake until mixture is set, about 20 minutes. Once set, remove from oven to let cool. Cut into 24 individual squares then sift powdered sugar over top before serving. These Meyer Lemon Squares should bake to a nice, pillowy consistency. The great thing about using Meyer lemons is that they don’t end up too sour. You can use additional lemon peel in the mixture if you want them more sour. 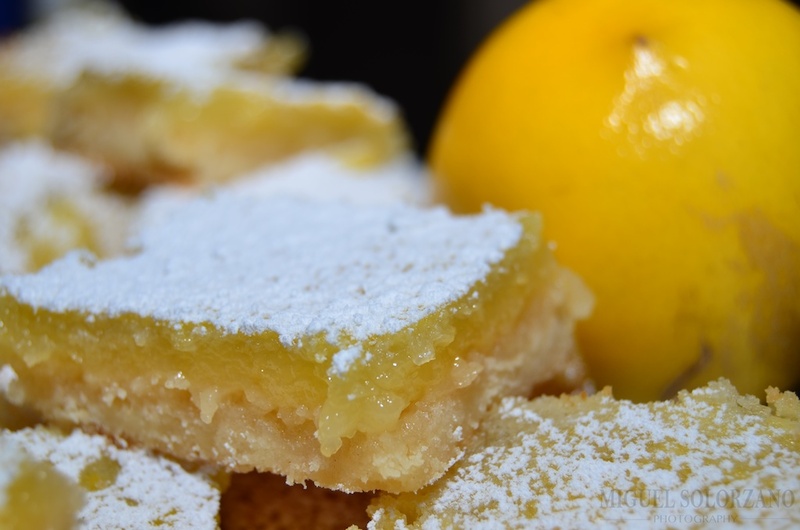 Give these Meyer Lemon Squares a try at your next holiday function. They definitely deserve a place next to the pecan pie and the pumpkin pie. 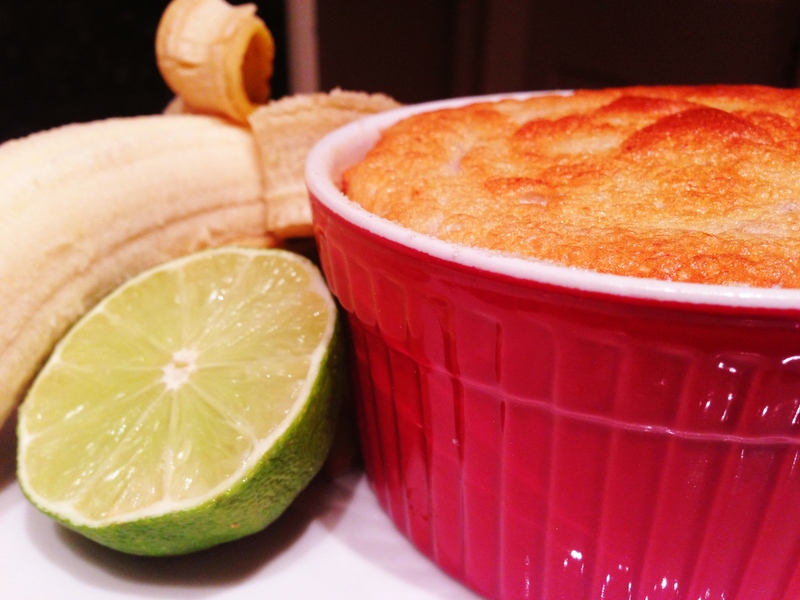 When life gives you bananas, make soufflés, right? I think that’s how the saying goes. Oh well, either way. These Banana Soufflés are light and fluffy (and require good timing). The hardest part is whisking the egg whites until they get some nice, soft peaks. You can do it though, just throw some extra elbow grease into it. Caution! Serve immediately or these soufflés will shrivel quickly. Brush four 1-cup ramekins with melted butter. Add 2 tablespoons of the sugar to one of the ramekins and rotate it to coat with sugar. Tap the excess sugar into another ramekin. Repeat until all the ramekins are coated with sugar. In a food processor, puree the bananas with lime juice, egg yolk and 2 tablespoons of the sugar until smooth. Scrape the mixture into a large bowl. Add the remaining 1 tablespoon of sugar and beat until firm and glossy. Using a rubber spatula, beat one-fourth of the beaten whites into the banana mixture, then gently fold in the remaining whites. Spoon the soufflé mixture into the prepared ramekins and tap them lightly on a countertop. Transfer the soufflés to a baking sheet and bake in the center of the oven for about 15 minutes, or until golden brown and risen. Do not open the oven until they are finished! Once you pull these Banana Soufflés from the oven, they will start to shrivel up pretty quickly. Mine rose a little more than indicated in the pictures. 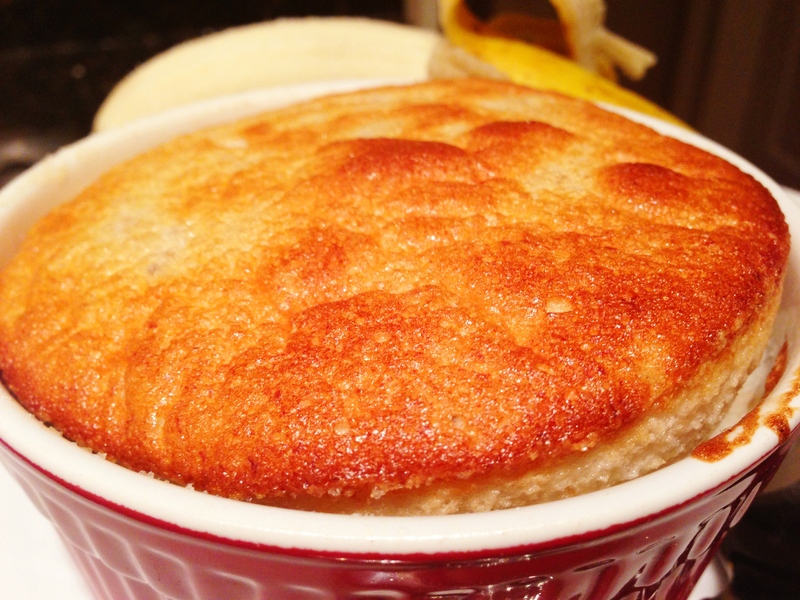 These Banana Soufflés are actually fairly healthy. Each only contains about 1 TBSP of sugar so you could do a lot worse. If you get it right, the soufflés should be light, airy and fluffy. 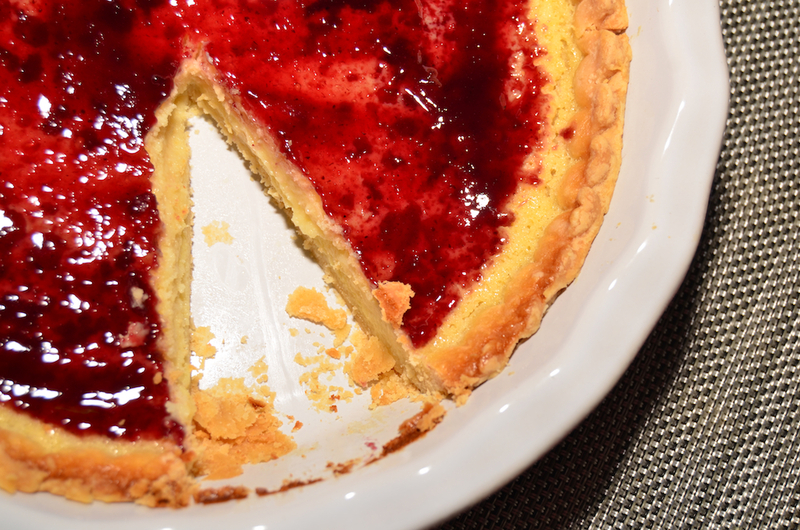 Need a quick cake recipe that’s light on ingredients, but full of flavor? 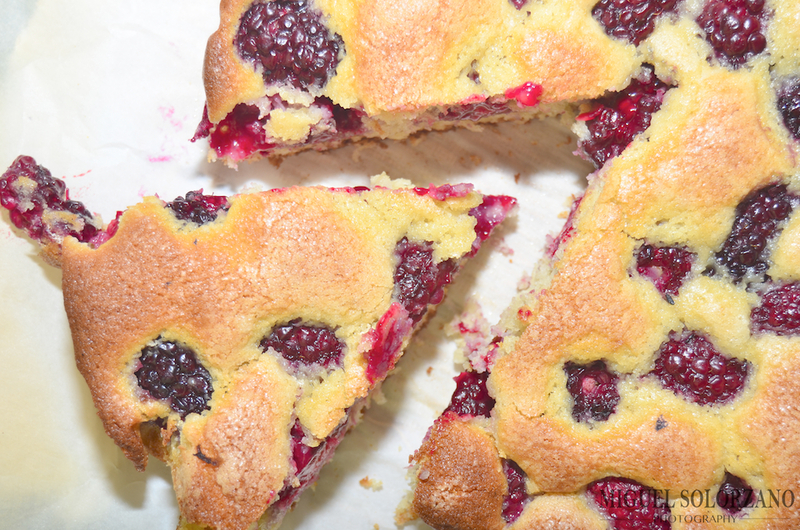 This recipe for Blackberry Buttermilk Cake is the answer to your prayers. 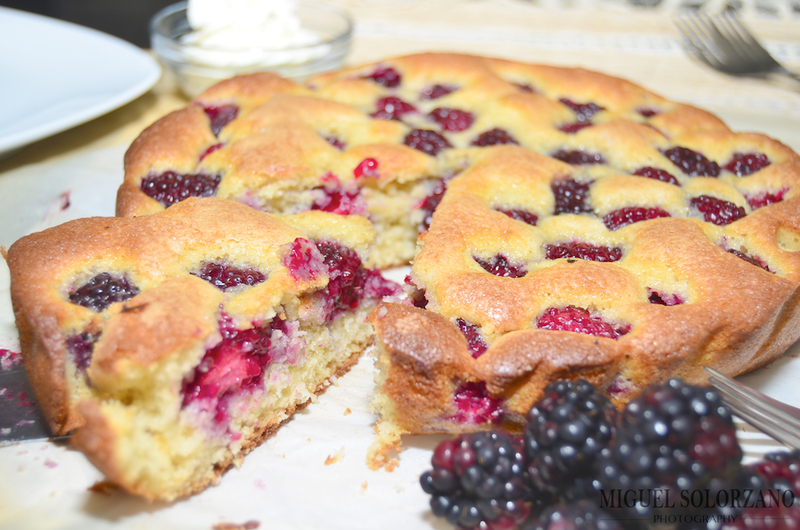 I’m a huge fan of fresh blackberries so this cake has a special spot in my heart. 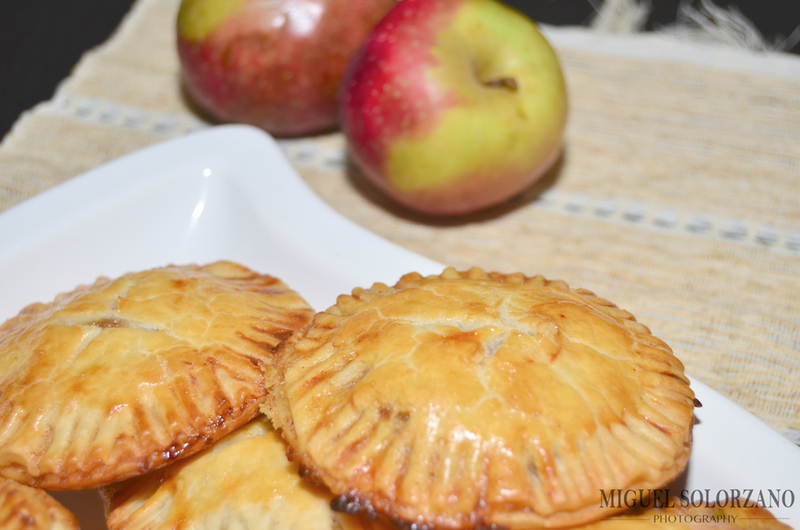 It’s super easy to make and takes 45 minutes from start to finish. My guess is that you’ll have more than once slice. Who doesn’t love fresh blackberries? Grease a 9-inch round cake pan and line with parchment paper. Grease the parchment paper as well. In a medium bowl, whisk the flour, baking powder, baking soda and salt. In a large bowl, mix together the butter and sugar until fluffy. Beat in the egg and vanilla to butter-sugar mixture. In three batches, mix in the buttermilk and dry ingredients (ending with dry ingredients). Fold the batter until blended, scrape into the pan and smooth the top. 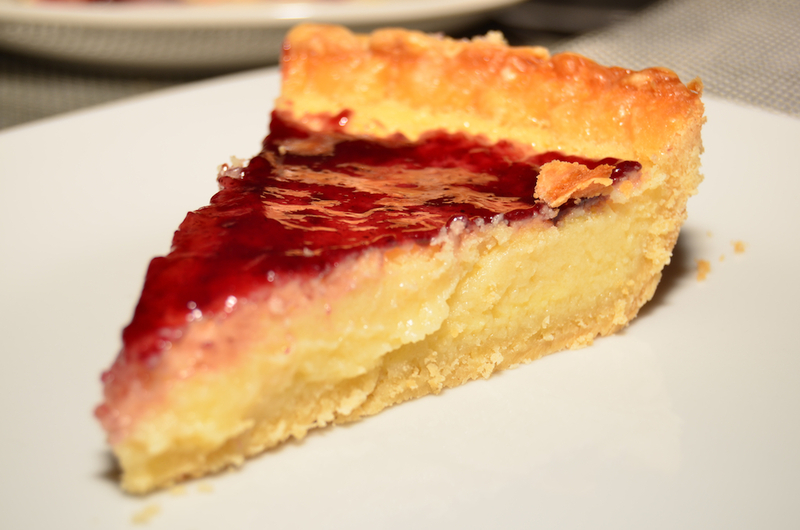 Scatter the blackberries on the batter and lightly press them in. Sprinkle with additional sugar. Bake for 30 minutes or until toothpick inserted into center of cake comes out clean. Let cool for 10 minutes then turn out the cake and remove the paper. Turn the cake right side up to let cool. Serve with whipped cream and more blackberries. You can always substitute in another fruit in place of the blackberries. I’m actually thinking of trying it with peaches or apples next. 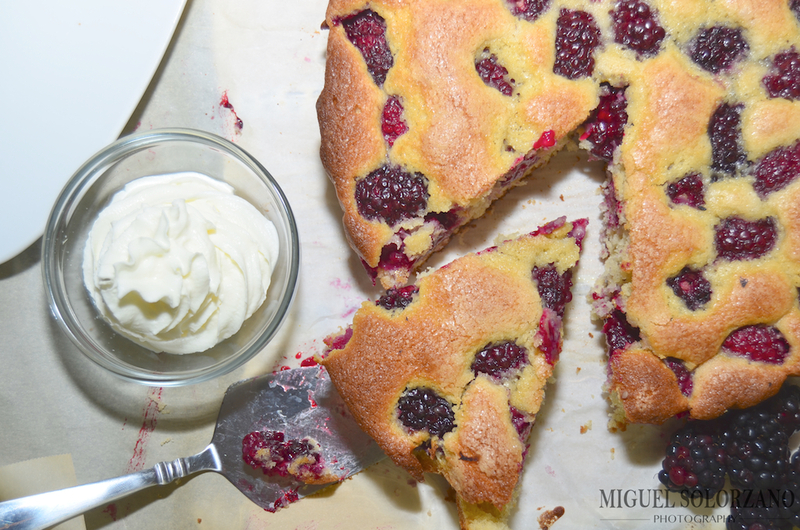 This Blackberry Buttermilk Cake is a great cake that’s not too sweet and gets a nice taste of sour from the blackberries. I highly recommend serving it with the whipped cream. Halloween’s only a couple days away so here’s a quick recipe that uses a total of five ingredients. That’s it — nothing to be spooked about when making these Pumpkin Cupcakes with Maple-Pumpkin Pie Spice Frosting. 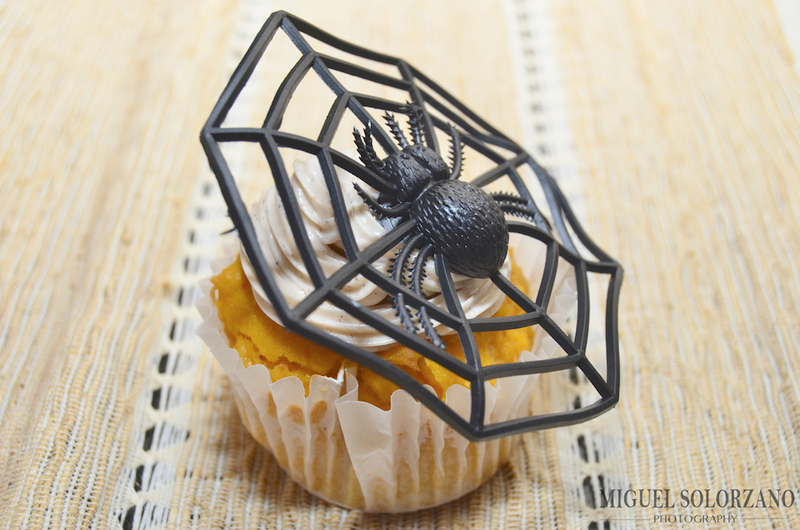 You can decorate them with inedible plastic Halloween decorations or use decorations of the edible variety. These cupcakes don’t set as well as cupcakes made with a traditional batter, but these are easier so it’s a trade-off. 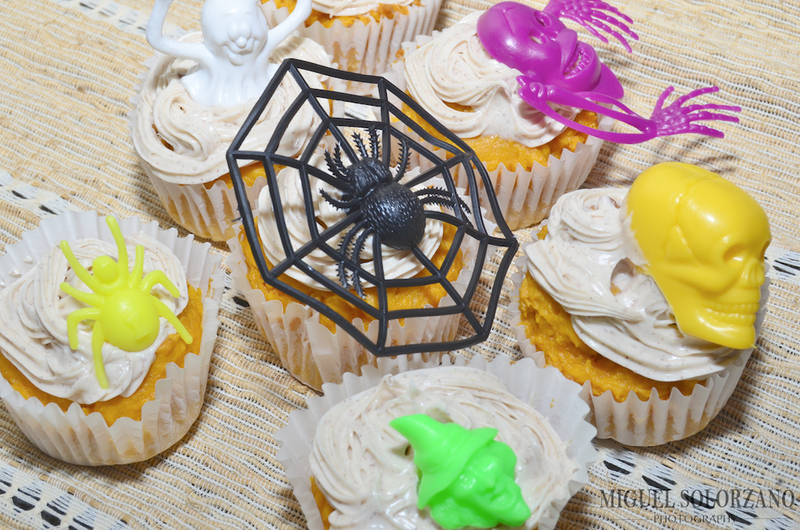 Pumpkin Cupcakes with Maple-Pumpkin Pie Spice Frosting are perfect for Halloween and all of Fall. In a large bowl, combine pumpkin puree and yellow cake mix and mix together well. This batter will be thick. Scoop one heaping TBSP of cake batter for each cupcake into a cupcake liner-lined muffin or cupcake tin. While cupcakes are baking, mix together vanilla frosting, pumpkin pie spice and maple syrup in a medium bowl. Transfer into a pastry bag if desired. Bake for 25-30 minutes or until toothpick inserted into cupcake comes out clean. Let cupcakes cool for 5-10 minutes then top with frosting. Repeat until no batter remains. You’ll probably have some of the Maple-Pumpkin Pie Spice frosting let so feel free to use if for other dishes. These cupcakes don’t rise that much so try and fill up the cupcake lines about 3/4 way to the top. These Pumpkin Cupcakes with Maple-Pumpkin Pie Spice Frosting may be light on ingredients, but they’re high on ease and simplicity and taste. They’re perfect to take to a Halloween party when you don’t have time to make something very elaborate. Honestly, no one will ever know how simple they are. Happy Halloween!